This begins a new series on the Sri Isopanisad (The knowledge that brings one nearer to the Supreme Personality of Godhead, Krishna). It begins with the Invocation and is followed by eighteen mantras and purports by Srila Prabhupada. 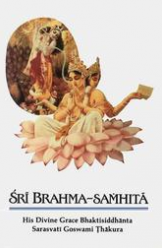 To purchase the book you can visit The Hare Krishna Movement or to download free pdf you can click on link at bottom of post or visit Krishna Path for free downloads and epub’s. oṁ—the Complete Whole; pūrṇam—perfectly complete; adaḥ—that; pūrṇam—perfectly complete; idam—this phenomenal world; pūrṇāt—from the all-perfect; pūrṇam—complete unit; udacyate—is produced; pūrṇasya—of the Complete Whole; pūrṇam—completely, all; ādāya—having been taken away; pūrṇam—the complete balance; eva—even; avaśiṣyate—is remaining. The Complete Whole, or the Supreme Absolute Truth, is the complete Personality of Godhead. Realization of impersonal Brahman or of Paramātmā, the Supersoul, is incomplete realization of the Absolute Complete. 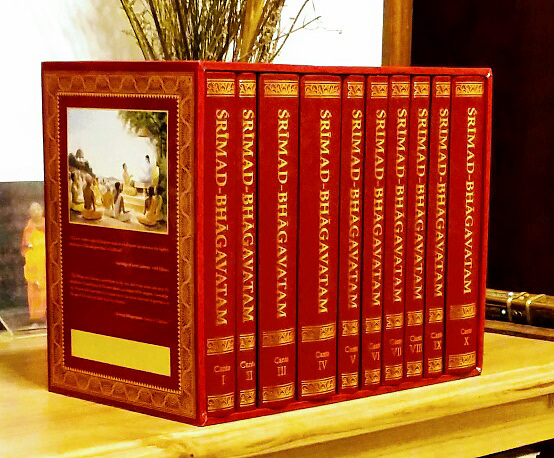 The Supreme Personality of Godhead is sac-cid-ānanda-vigraha [Bs. 5.1]. 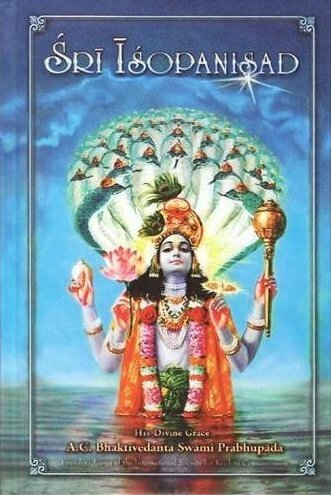 Realization of impersonal Brahman is realization of His sat feature, or His aspect of eternity, and Paramātmā realization is realization of His sat and cit features, His aspects of eternity and knowledge. But realization of the Personality of Godhead is realization of all the transcendental features-sat, cit and ānanda, bliss. When one realizes the Supreme Person, he realizes these aspects of the Absolute Truth in their completeness. Vigraha means “form.” Thus the Complete Whole is not formless. If He were formless, or if He were less than His creation in any other way, He could not be complete. The Complete Whole must contain everything both within and beyond our experience; otherwise He cannot be complete.